'Cotillion Gown' (Keith Keppel, R. 2012). Seedling# 06-7B. TB, 35" (89 cm). Early midseason bloom. Standards light yellow (M&P 9-G-1) flushed apricot-buff (9-D-4) toward base; style arms light yellow (9-G-2); falls light yellow shaded apricot-buff (9-H-3/4) on shoulders, ivory near beard, light wineberry (55-H-4) veining emanating from heart, becoming finer and lighter toward center; beards grenadine red (1-D-11). 'Juicy Rumours' X 'Are We In Love'. Keppel 2013. 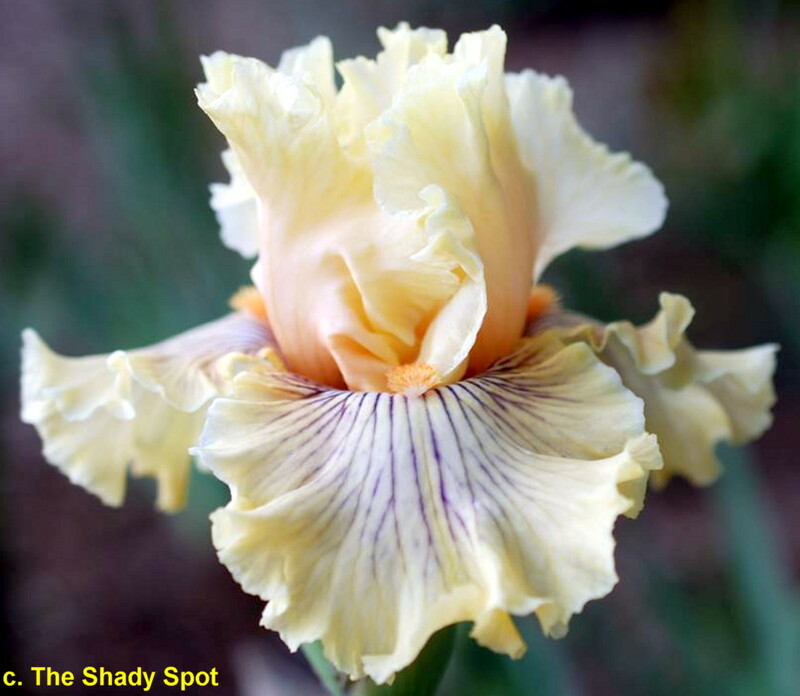 Honorable Mention 2015, Award of Merit 2017.
jpg CotillionGown1.jpg manage 45 K 13 Sep 2018 - 02:32 Main.TLaurin Photo by South Jersey Iris.